French metal goliaths GOJIRA have today announced their return to the UK, for a string of headline shows in June/July 2019. Special guests will be announced at a later date. Tickets go on general sale this Friday at 10am, but are also available via O2’s pre-sale now and Live Nation’s pre-sale tomorrow at 10am. 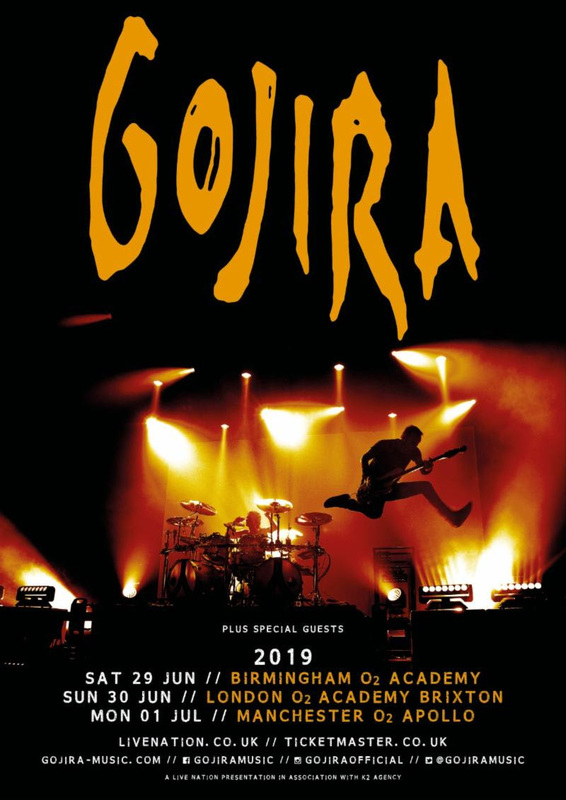 Pick up tickets at:https://www.livenation.co.uk/artist/gojira-tickets. The band recently shared a video of their entire set at Poland’s Pol’And’Rock Festival in August 2018 on their social media. Watch it at: https://youtu.be/ISJtvWhkMFQ. Stay tuned for more GOJIRA news soon.